Summertime in Steamboat Springs is a truly magical experience with endless outdoor options. While most flee to the mountains or lakes to get in their weekend camping, many choose to stick around. Why? For the Free Concert Series! Since 1993 locals and tourists alike show up by the thousands to Howelsen Hill; throw a blanket on the floor, grab a drink and get ready for an awesome free concert! This year Dr’s Jim and Wendy McCreight are proud to announce their partnership with the Keepin’ it free concert Series. This partnership was a “no-brainer” for the Doctors as they have been concert goers since the early days and love how these concert series bring not only families together but also our little mountain community. Below we have listed some important info for all those who plan on attending. From Lincoln Ave (US HWY 40) in downtown steamboat springs, turn toward the yampa river on 5th street, cross the bridge about two blocks down, turn right, and you are pointing towards the Howelsen HIll parking area. Middle near the “watering-hole– Why? It is where you will find most of the little ones and respective families. JK…. 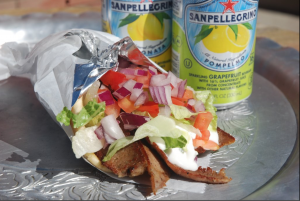 Try out the delicious Skull Creek Greek food truck or Moe’s BBQ food truck. What other things you should know before you go. Just because it is 85+ degrees when the concert starts does not mean that will be the temperature when the concert is over. **Always pack a sweater or a light jacket!!!!! Dr. Wendy and Dr. Jim McCreight along with their experienced Team at McCreight Progressive Dentistry offer exceptional dental care for all ages at our convenient Steamboat Springs, Colorado office. Looking for a dentist in the Western Slope area? Please call us and schedule an initial hygiene appointment (970) 879-4703. Make sure to Follow and Like us on Facebook for all the latest updates. By: Anna Nierenberg, Client Relations at McCreight Progressive Dentistry.